A few weeks ago, my teenage son excitedly announced that “[my] archaeological site was trending on Facebook.” No matter that soon so many other stories would overtake it. My existence and work were certified at that moment. 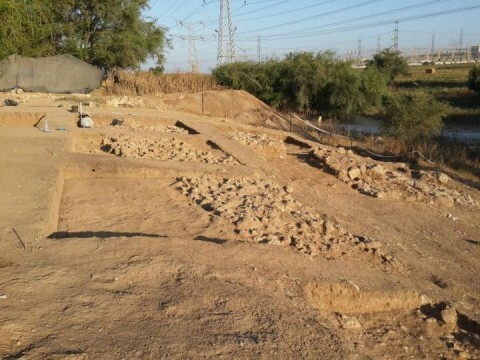 Professor Jill Katz is part of the team of archaeologists who uncovered the historic fortifications and monumental gate of a Biblical-era city called Gath in Israel. “My” archaeological site is Tell es-Safi, the biblical city of Gath and hometown of Goliath. 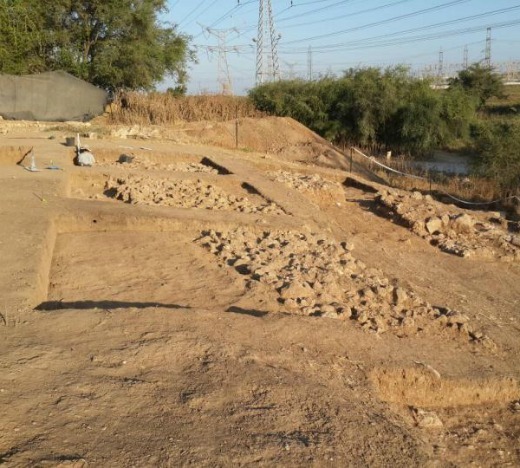 Officially known as the Ackerman Family Bar-Ilan University Expedition to Gath, the excavations are directed by Professor Aren Maeir of Bar Ilan University. I have been associated with this dig since 2004 when I brought my first group of Yeshiva University students together with Professor Vince Chiapetta of Yeshiva College, the university’s undergraduate men’s college. Currently, I serve on the excavation’s staff and continue to bring students with me each season, most recently Sima Fried ’18S and Miriam Jacobson ’18S of YU’s Stern College for Women. In the immediate aftermath of the discovery and its connection to the above pasukim, banter began to circulate about finding the marks that David made, or, even better, the actual spittle. We have a DNA specialist associated with the dig—did we need to call her in? We were certainly having a good time. Yet for me the significance of this discovery went way beyond a textual connection, beyond the basic, “David made a mark here,” “Goliath walked here,” etc. These kinds of associations, while thrilling, are frequent in Israel. This was something more. This discovery provided me with a profound appreciation for the magnitude of David’s leadership. The fortifications were found first. We were not surprised that they existed, as we knew Gath was one of the main Philistine cities, and that such cities were typically fortified. We were pleasantly surprised at how thick the walls were—6 meters in some parts, which attested to the organizational prowess of the city’s administration. Following the initial detection of the fortifications, new segments were quickly exposed as the entire structure lay just below the surface. In fact, in some spots, simply scraping away the topsoil was enough to reveal the upper stones of the city wall. The discovery of the wall naturally stimulated our curiosity about a city gate. By following the contour of the wadi eastward—the fortifications were constructed just meters above the wadi—we encountered two imposing mounds, comprised of large stones, between which the silhouette of an ancient path is still visible. This then is the city gate. As I stood with Aren Maeir, our backs to the wadi and the gate area immediately in front of us, I had my “Eureka” moment. You see, the fortifications and gate run along the lower city. But when you look upwards, past the gate and the flat lower city, there is the massive upper city rising nearly 80 meters in the distance. I felt the full expanse of the city at that moment, and it was vast. Philistine Gath was approximately 8-9 times the size of Jerusalem during the time of David. It had 8-9 times the population, 8-9 times the resources. And, yet David was able to stop the Philistine threat and contain them to the shephelah (foothills) and the southern coastal plain. As a result, Israel was free to develop in the central hills to the east. Confidence, faith, and “outside-the-box thinking” made David an extraordinary leader. We know from Tanach that when he saw Goliath, he immediately formulated a strategy to defeat him and was not personally surprised when it worked. Now, thanks to our recent archaeological discovery, we can all experience the urban version of Goliath: an immense and powerful city, strongly fortified, teeming with houses, neighborhoods, temples, workshops, and marketplaces. Next time you are in Israel, compare for yourself the ancient cities. First visit the City of David and then come see Tell es-Safi/Gath—it’s a National Park and can be easily reached using Wazw (type in Tel Zafit, shetach D in Hebrew). When you stand at the city gate, lift your gaze upwards at the massive tell beyond. Can you imagine containing such a city, such a nation? 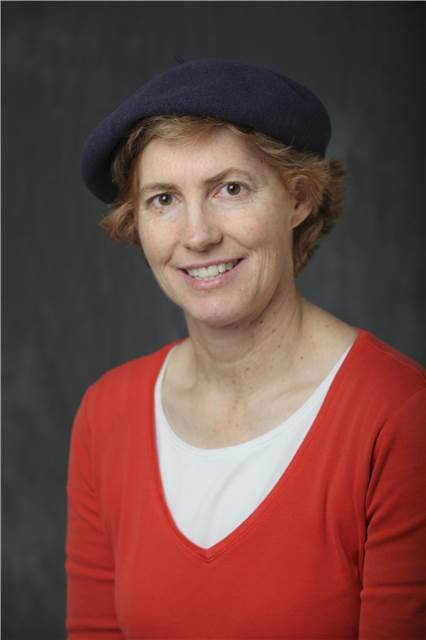 The author, Dr. Jill Katz, is a clinical assistant professor of archaeology at Yeshiva University.